Funtastical is a HUGE, fun-filled, INDOOR entertaining event for all ages to enjoy! 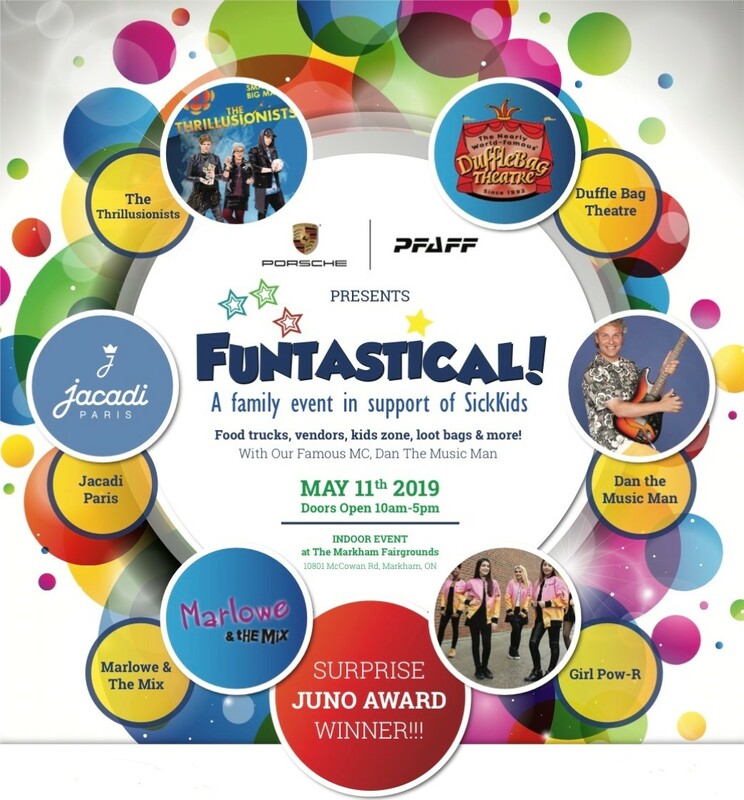 It is guaranteed to be fun for the whole family with amazing Entertainment all day featuring The Thrillusionists, Dan the Music Man, Girl Pow-r, Duffle Bag Theater, Children’s Fashion Show & and a surprise JUNO award winning Canadian singer and many many more. Plus vendors, fun zone, raffles, food and more – at the Markham Fairgrounds on May 11, 2019! Children will be given lavish LOOTS & TREATS to enjoy as well! Proceeds from this event will be donated to the world renowned Toronto Hospital for Sick Children (SickKids Foundation) with this year’s event specifically targeted towards Children’s Cancer Research & Treatment. Please note Youth Assisting Youth has made arrangements to have limited tickets available for Funtastical for our Children, Youth, Volunteer Mentors and Parents to attend while supporting a great cause. Tickets will be available on a first come first serve basis.